Sweetie and I are always on a vigilant lookout for more exciting adventures. Instead of having dates in classic romantic settings, we spend our loving moments risking our limbs and lives, feeling the invigorating pump of adrenaline, and shamelessly immersing ourselves in childlike wonder observing Mother Nature’s treasures. For our third-year anniversary, we decided to have an adventure-filled underwater date in the magnificent Apo Island in Dauin, Negros Oriental. Our first destination was not at a beach or a pier. In fact, during our first day, we were way up there in the mountains of Negros Island to celebrate a very special ceremony. We were honored to be the bearers of the cord and veil to bind two of our closest outdoor buddies, Jigz and April, in marriage. 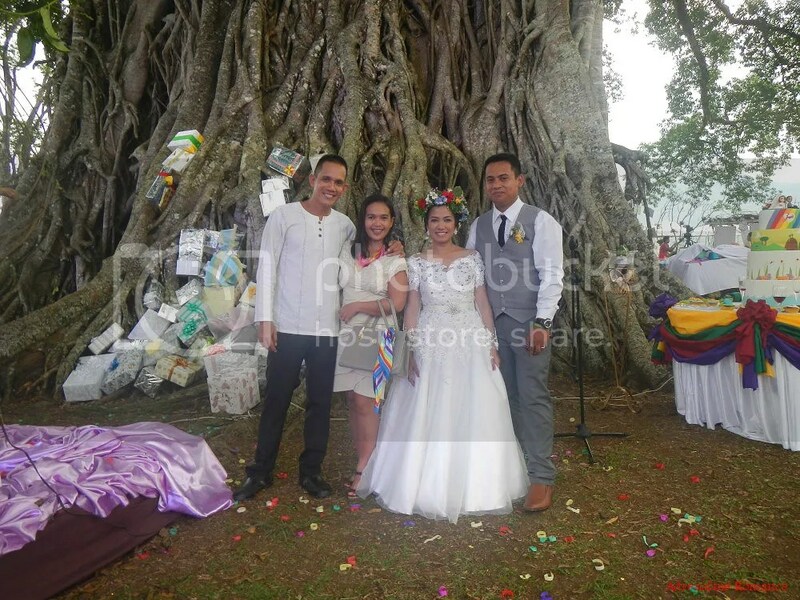 Their wedding was a special one as it was the first time ever a reception was held at the immense Centennial Balete Tree in the middle of the vast coffee and rice plantations in Lumapao, Canlaon City. 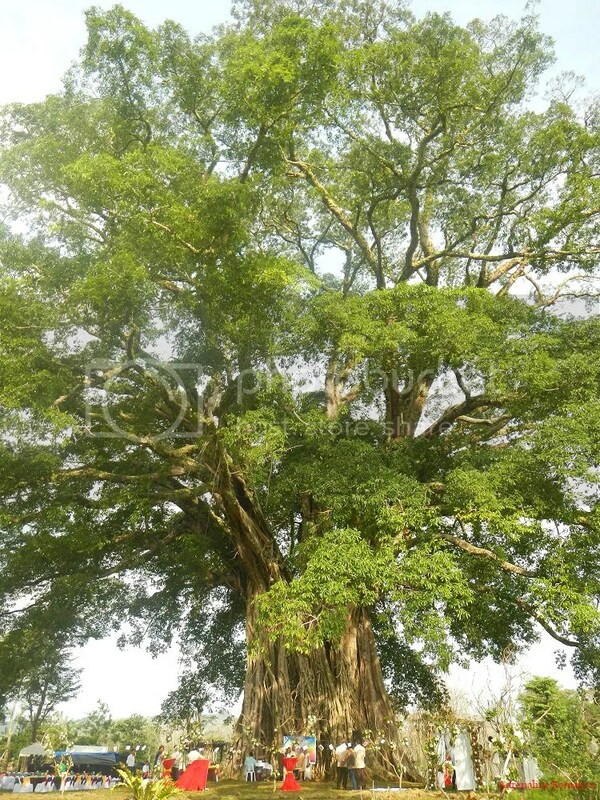 A popular destination in the city, this enormous tree is 1,330 years old. Check out their very, very cool bridal car—or rover! It totally represents their mutual admiration for adventure and the outdoors. 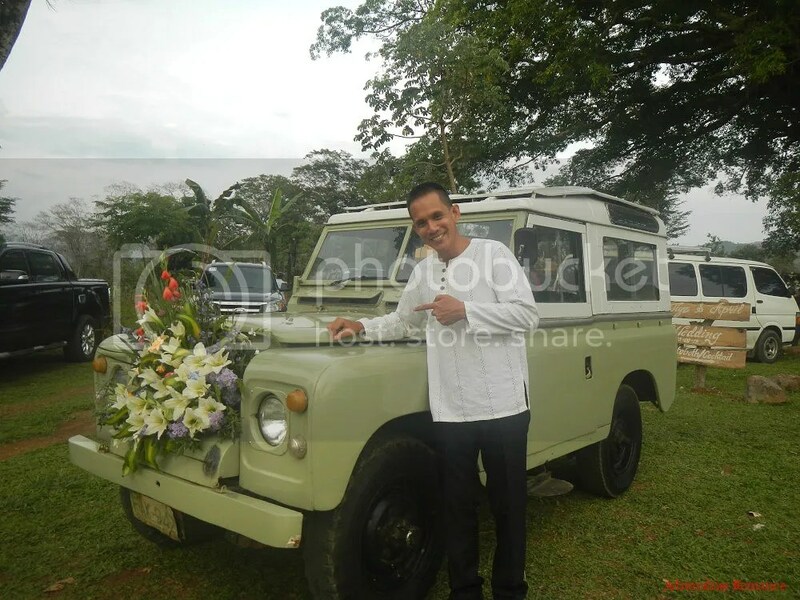 When Sheila and I exchange our marriage vows, our bridal car should be like this! Hehehe! Just imagine, you are celebrating your special day with the love of your life, families, colleagues, and friends in a lovely, warm afternoon with the majestic Mt. 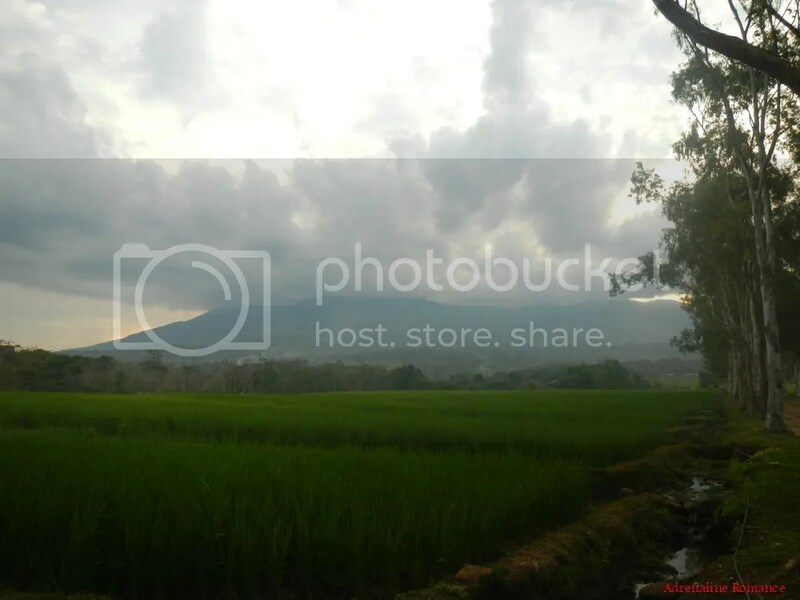 Kanlaon in the background! Congratulations, Jigz and April! Welcome to the world of household chores, babies, budgeting, sleepless nights, and, of course, a lot of love! Before sunrise the next day, we checked out from our hotel and proceeded directly to the Canlaon Bus Terminal to catch an early-morning bus trip to Dumaguete, a city 173 kilometers away. 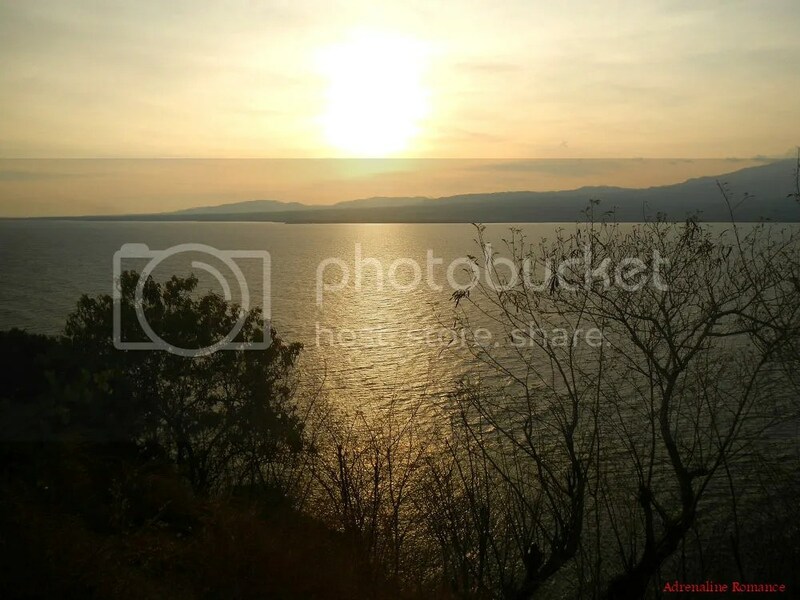 As the sun rose higher, we were able to enjoy great views of Tañon Strait, villages, farms, faraway mountains, and rural towns. 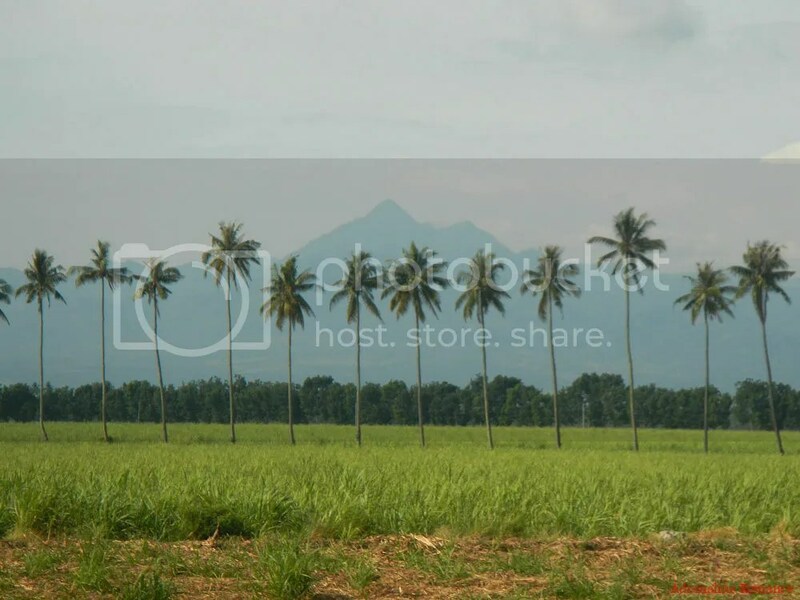 Nearing Dumaguete, we had a nice view of Mt. Talinis. We hope to climb this mountain again. Finally, after a scenic 4-hour bus ride, we arrived at Dumaguete City. 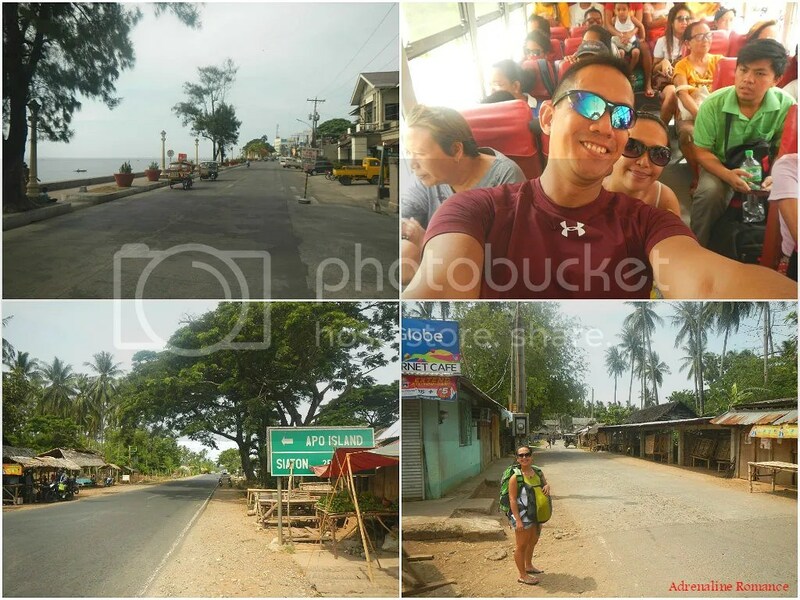 We took a hot, filling breakfast at a roadside carenderia then boarded another bus to Zamboanguita. We asked the driver to drop us off at the Malatapay market, which is just a little over 30 minutes from Dumaguete. 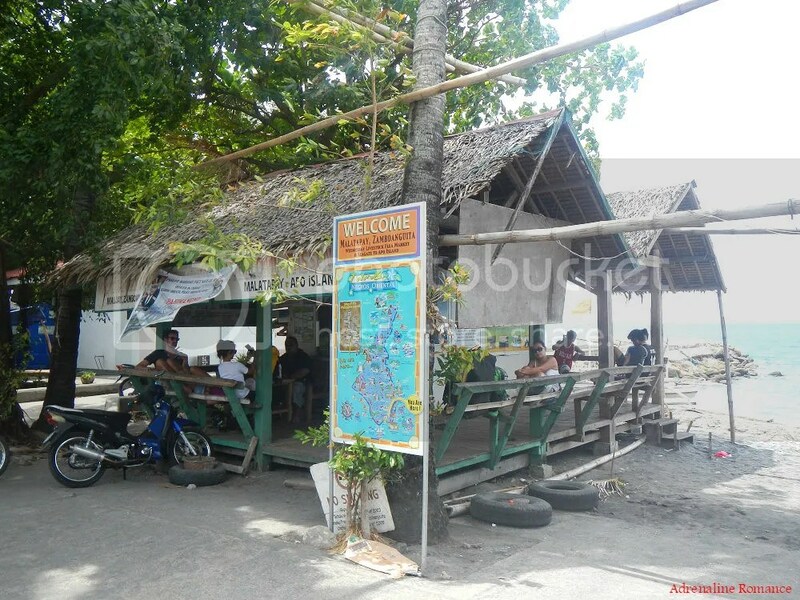 Malatapay Market is the usual staging point for people who want to go to Apo Island. That’s strange—it was a Saturday, but the entire strip of Malatapay market was devoid of merchants. 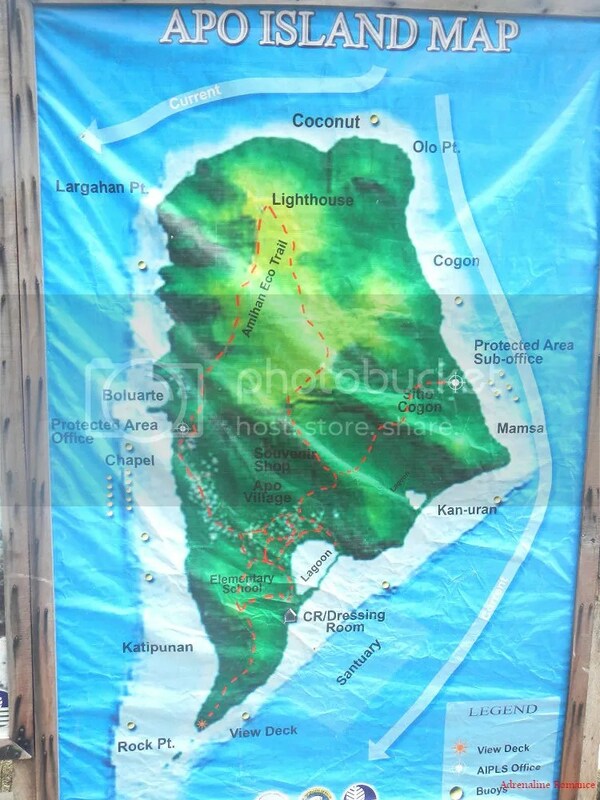 Anyway, Apo Island guests can buy their supplies here or in Dumaguete before proceeding to the island. Just like in many beautiful places we’ve been in the Philippines, transport coordination and fares from Malatapay to Apo Island are standardized and well organized. 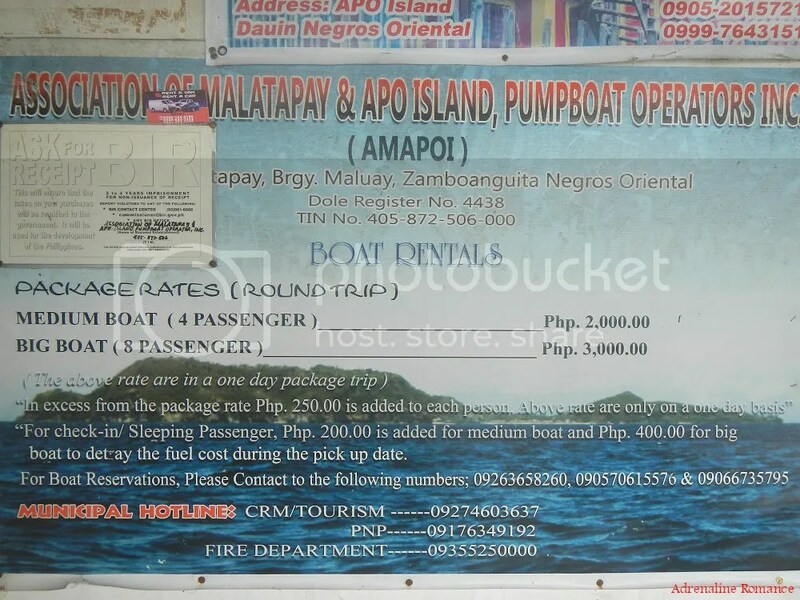 Guests need to register at the AMAPOI (Association of Malatapay and Apo Island Pumpboat Operators Inc.) so they can queue for a boat. In addition, there is a Coast Guard outpost nearby. Check out the Budget section of this blog post for the pumpboat rates. 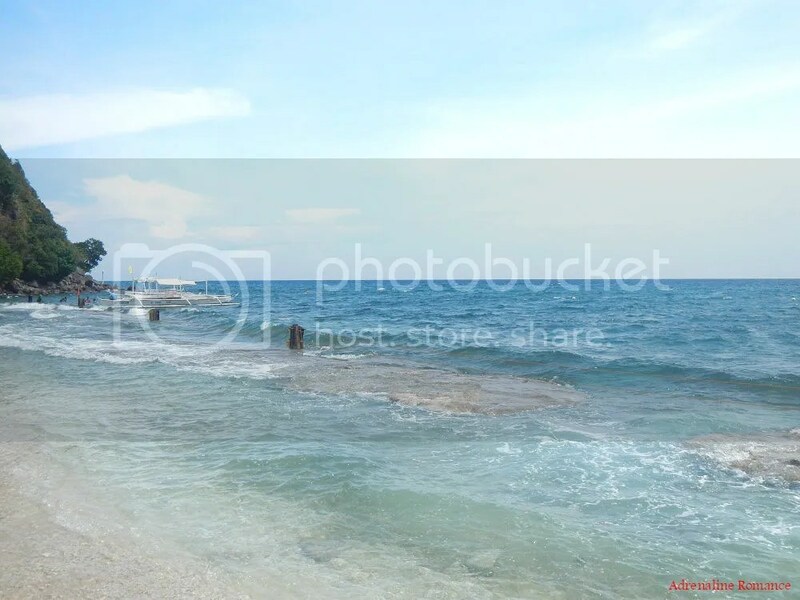 Malatapay has a small yet clean public beach that overlooks Apo Island. According to locals, there used to be a nice marine sanctuary nearby, but it was damaged by a recent typhoon. Supposedly, there are irregular “ferries” to the island—non-tourist pumpboats used by locals to ferry goods and supplies to and from the mainland. 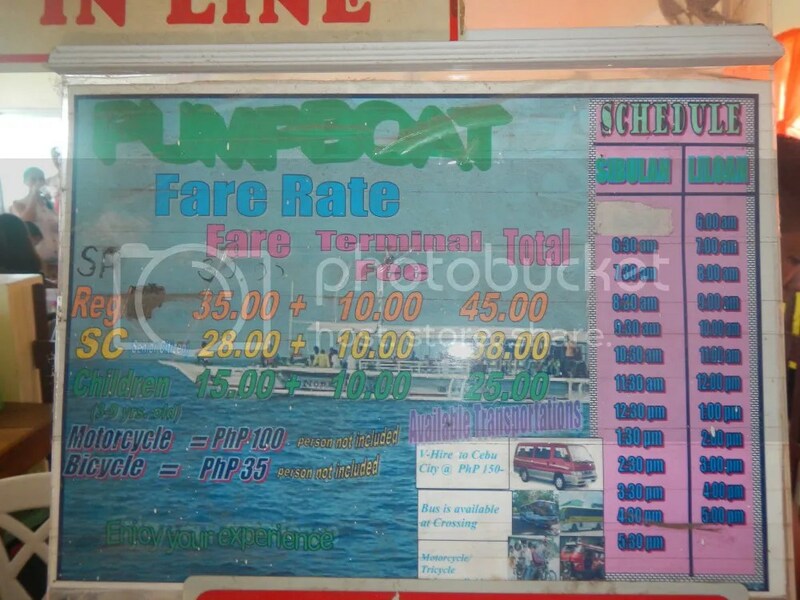 The fair is cheaper than the standard several-thousand pesos for a tourist pumpboat as people are supposed to “hitch” with these ferries. Unfortunately, we weren’t able to catch one of these boats. Thankfully, a group of kind young vacationers allowed us to ride with them in their chartered boat. Sweetie and I, together with a family whom we befriended at the AMAPOI center, simply paid our share. Thus, we were still able to save money. For some reason, the waves were quite big even if the weather was fine. 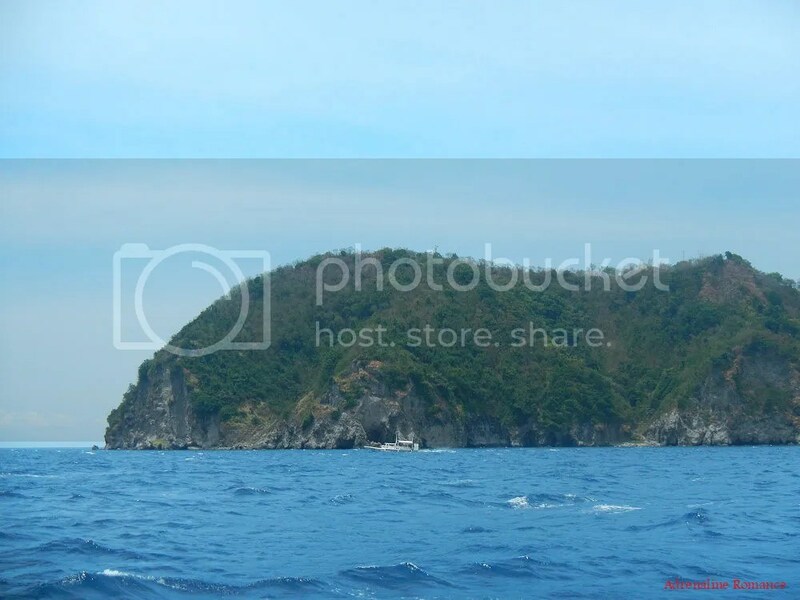 Apo Island is clearly visible from the shore. 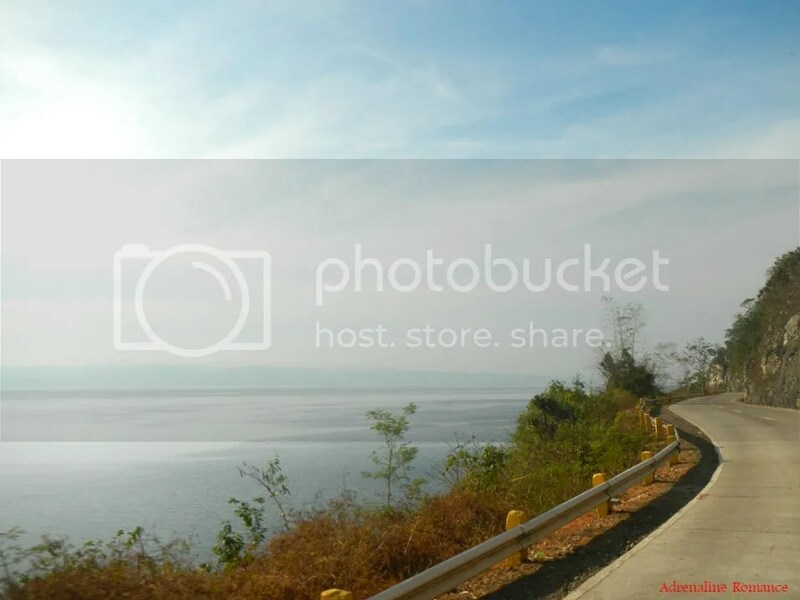 At 12 hectares in land area, it is a fairly large volcanic island that is 7 kilometers away from the southeastern tip of Negros. 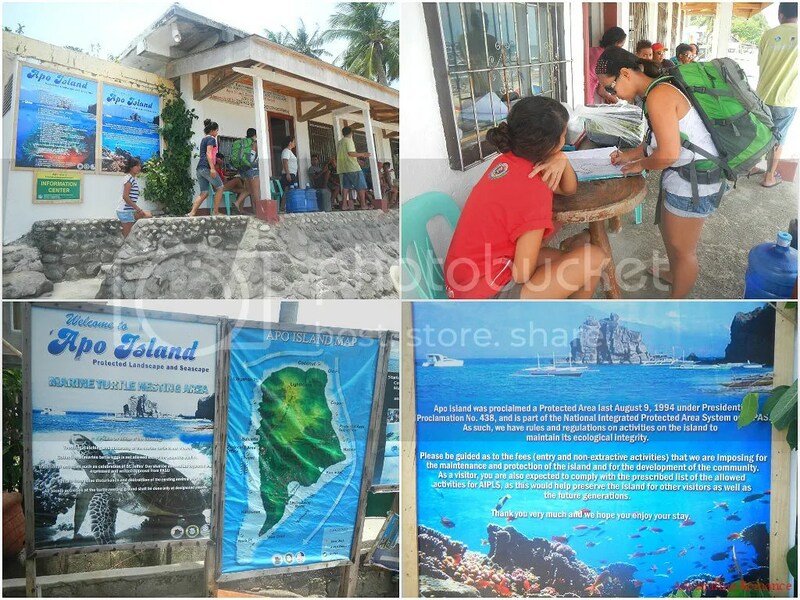 The island is a baranggay under the jurisdiction of the municipality of Dauin. As we approached nearer, we could see the ragged cliffs that surround the northern part of the island. By the looks of them, it seems that they are the scars of landslides that occurred thousands or millions of years ago. This prominent rock formation is the first main geographical feature that we saw as we approached the island. 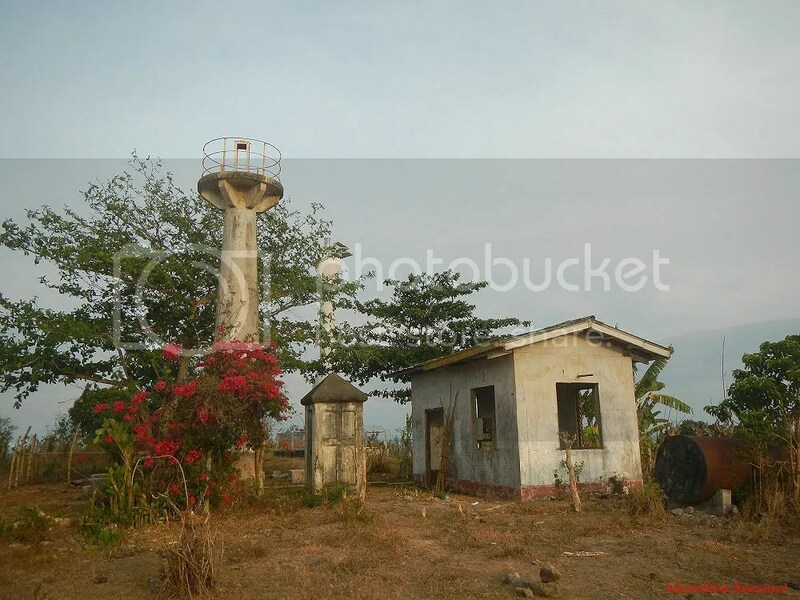 Locals call it Boluarte (sp: baluarte) after a Spanish-era watchtower that serves as a lookout against marauders. We know this is cliche, but don’t you just want to dive in? Look at that clear, aquamarine water! When we arrived, the place seemed to be already jam-packed with local and foreign tourists. After docking, we immediately went to the island’s DENR station and visitor’s center where we registered and paid the general admission fee. 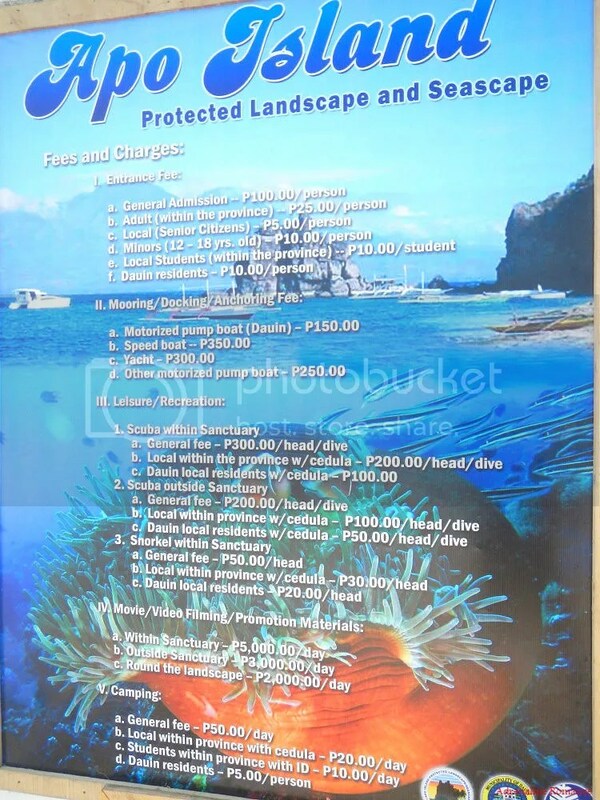 Apo Island is a protected area, and the funds generated by tourist arrivals are used to clean and protect the sanctuaries that surround the island. Policemen and Bantay Dagat personnel ensure the safety of the guests, villagers, and the sanctuaries around Apo Island. 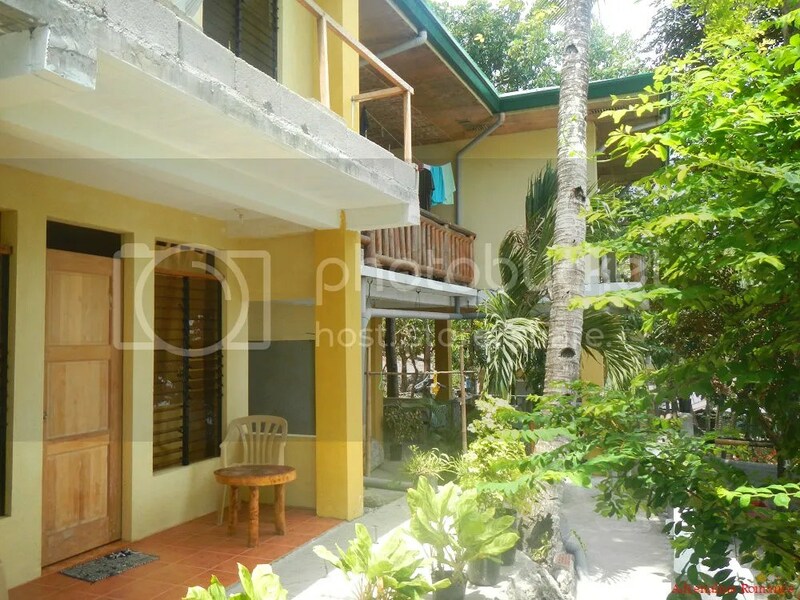 After paying, we went in search for Mario’s Scuba Diving and Homestay, a popular low-budget bed-and-breakfast in the area. We passed by small homes, stores, resorts, a chapel, and a public activity center; yes, Apo Island has its own community. 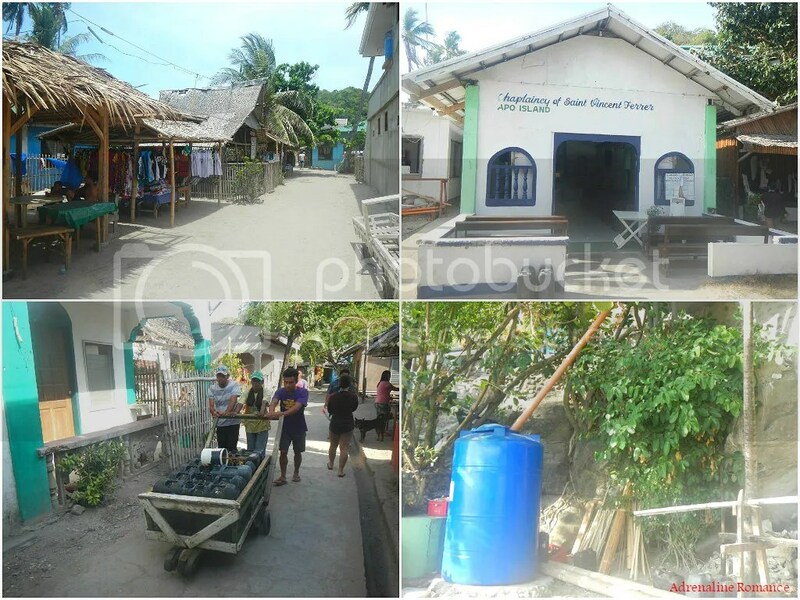 The lack of flowing fresh water is a perennial headache for the community. Yes, locals said there is a spring somewhere; but considering the small size of the island versus the huge expanse of the sea surrounding it, that spring water is brackish. 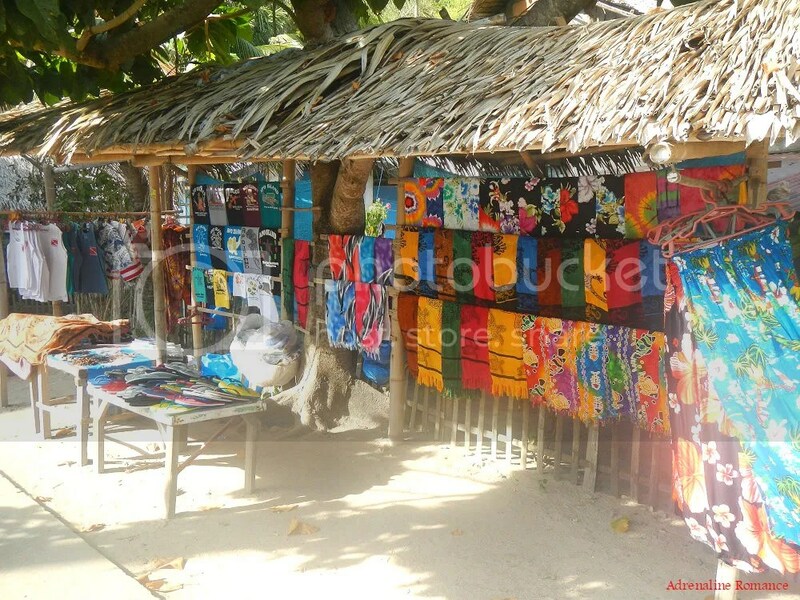 There are also a few open-air souvenir shops that dot the island. We found Mario’s perched on a small rocky hill that overlooks the shore. Nice, isn’t it? After checking in, the wife’s owner, Mila, conducted a litany of house rules. Her most important house rules? One, keep everything clean and two, conserve water. After eating our packed lunch and changing into our rash guards, it was time to explore Apo Island. We went to the main beach which is made up of beautiful white sand on one part and hard layered rock on another. Be careful if you wish to swim near the layered rocks since incoming waves can carry and smash you over those rocks. Ouch! Snorkeling is one of the main must-do activities in Apo Island. We’ll tell you in a little while. First, we need to register and pay the snorkeling fee. Local guides can be hired here. Guests can also rent life jackets, flotation devices, and flippers here. 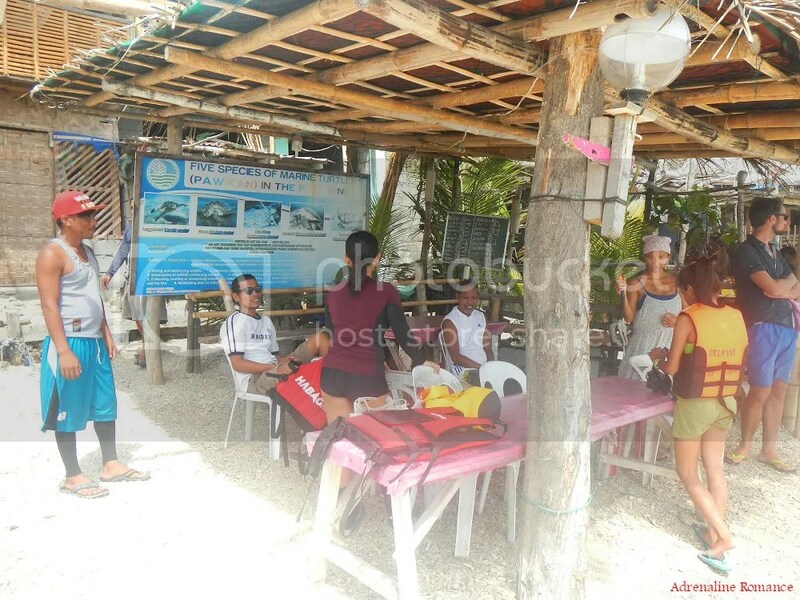 Before proceeding to the snorkeling area, the guides usually conduct a short briefing of the area. 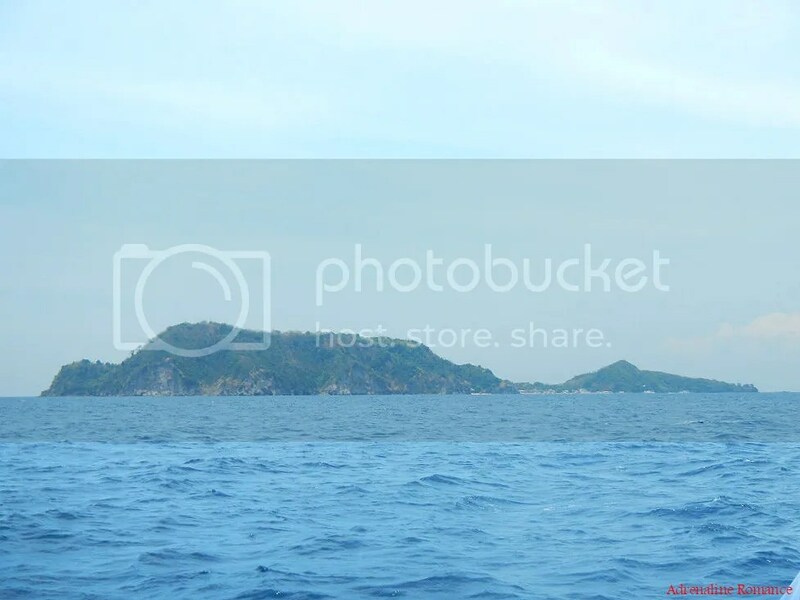 By looking at the photo below, you can probably tell why snorkeling should never be missed here. 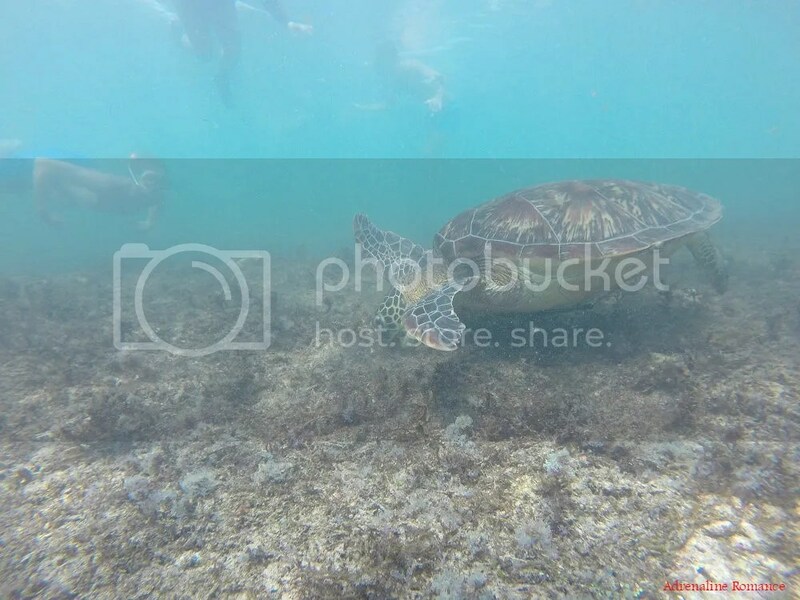 Apo Island is one of the few places in the Philippines where guests can actually swim with gentle sea turtles. 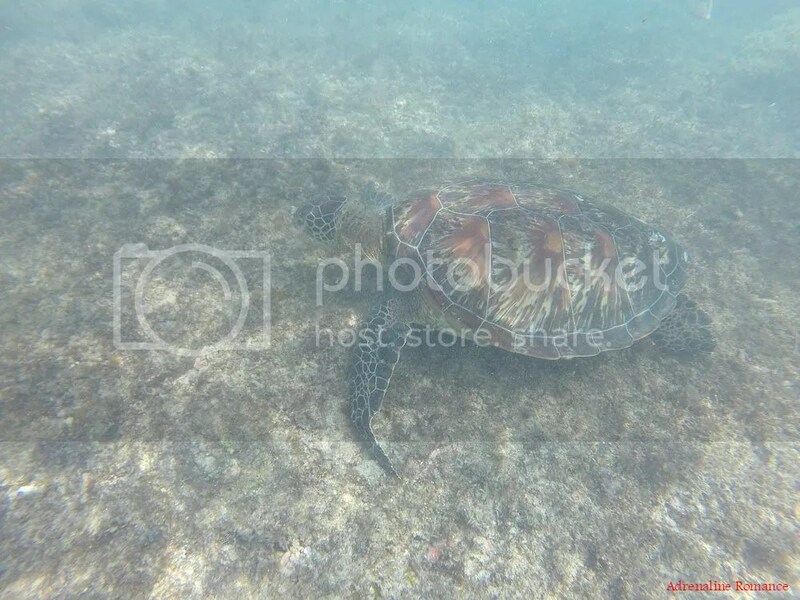 It comes to no surprise as the island is a marine reserve under the jurisdiction of the Protected Area Management Board (PAMB) and protected by the National Integrated Protected Area Act (NIPA). 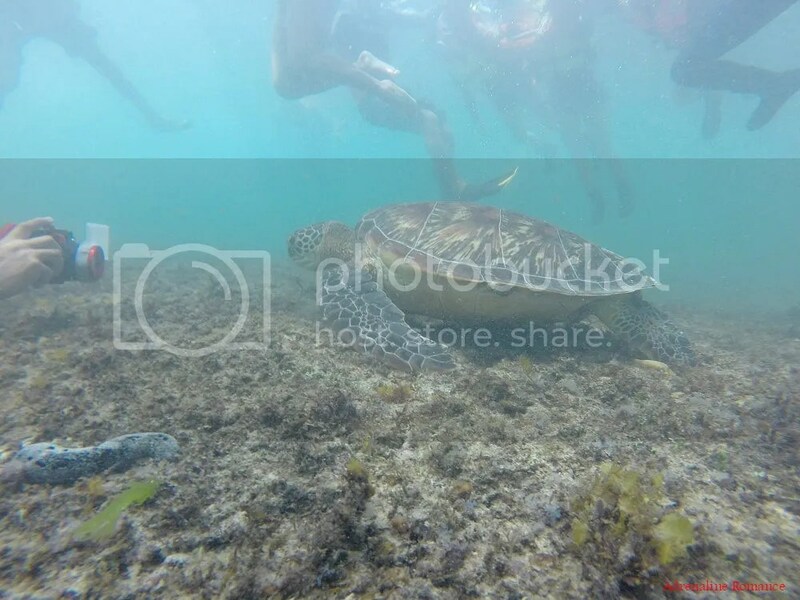 Sea turtles are a common sight in Apo Island. That’s the snorkeling area and the feeding ground of the local sea turtles. 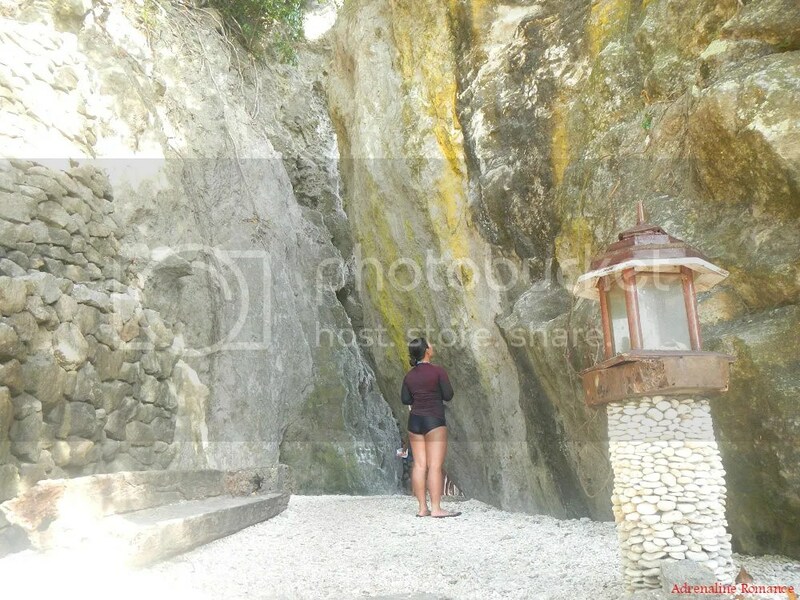 For safety, guests are not allowed to go near the roped section as there are sharp rocks in the vicinity. The stars in this section of the island are the gentle sea turtles. 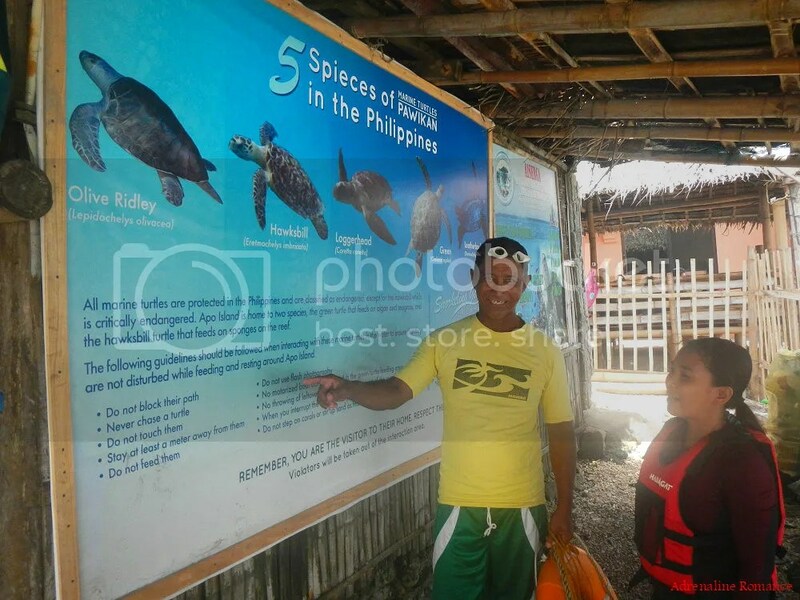 According to the guide, there are five kinds of sea turtles in Apo Island, with the green sea turtle as the most numerous specie. Just check out that cool guy. The colors and patterns of his teardrop-shaped carapace perfectly matches the seabed, making him difficult to see from above. This defensive mechanism is called camouflage and is vital for the turtle’s survival in the harsh and ultra-competitive underwater wilderness. 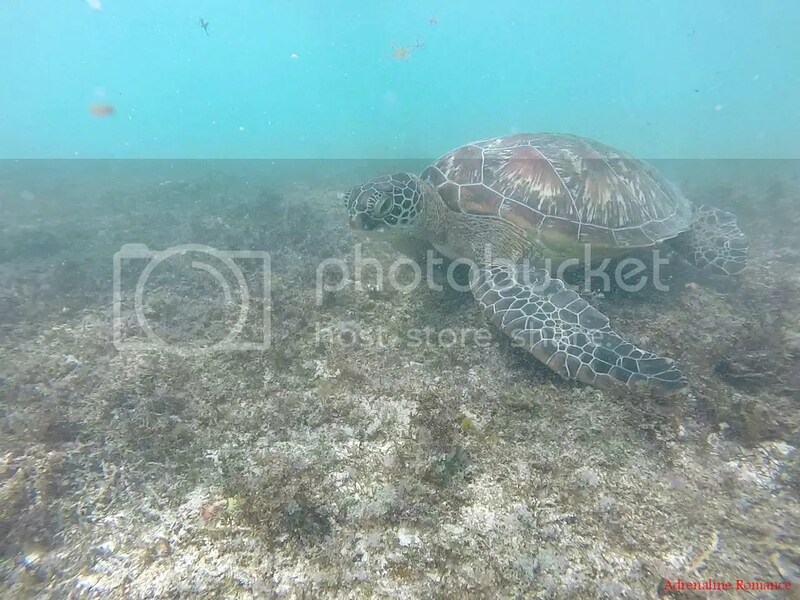 The reason there are sightings of sea turtles near Apo Island’s is that this part of the shore has an expansive and rich sea grass bed. Green sea turtles are herbivores, and their usual diet is sea grass, kelp, and algae. In the wild, sea turtles swim very gracefully, and they almost have a melodious quality to their movements. Take a look at them in their natural habitat, and you will consider them as freedom personified. We have seen captive sea turtles in resorts and parks, and it just saddens us knowing how miserable they must feel when they’re confined in claustrophobic tanks and ponds. Majority of a sea turtle’s life is spent under the water. But every now and then, he must go up, break to the surface, and breathe oxygen. You don’t really have to swim far to see sea turtles. They actually come to you at the snorkeling area. In fact, you may need to be careful or you may inadvertently kick or step on a poor sea turtle munching his lunch. With all these people surrounding him, I think this guy must have felt like a star. Hehehe! 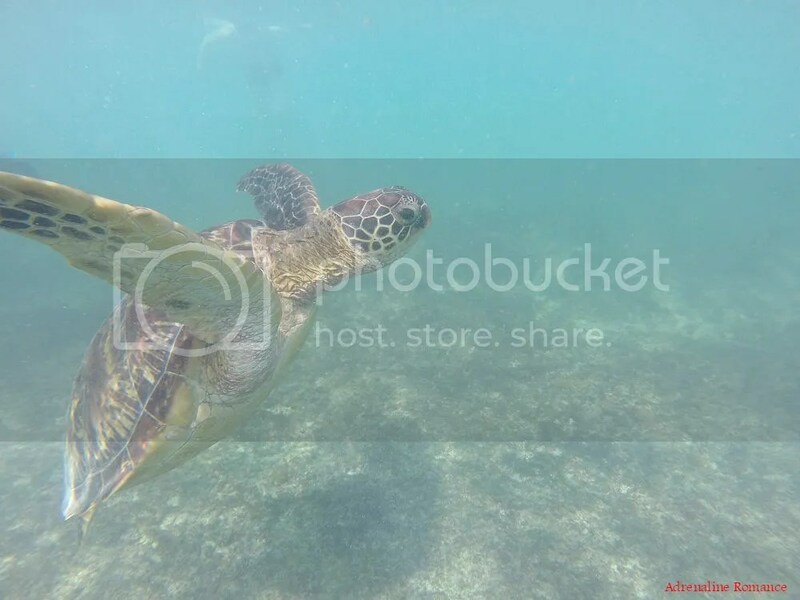 Check out this cool video of sea turtles swimming around with curious humans in Apo Island. Gorgeous, aren’t they? Aside from these graceful sea turtles, guests can also find these magnificent corals near the shore. Both soft and hard corals grow here. Sea anemones, corals, sea slugs, and other marine creatures all form a symbiotic relation to each other. Life under the sea tells us valuable lessons and realizations that help us understand our own relationships with fellow humans. Oh, look! There’s Nemo and his friends! 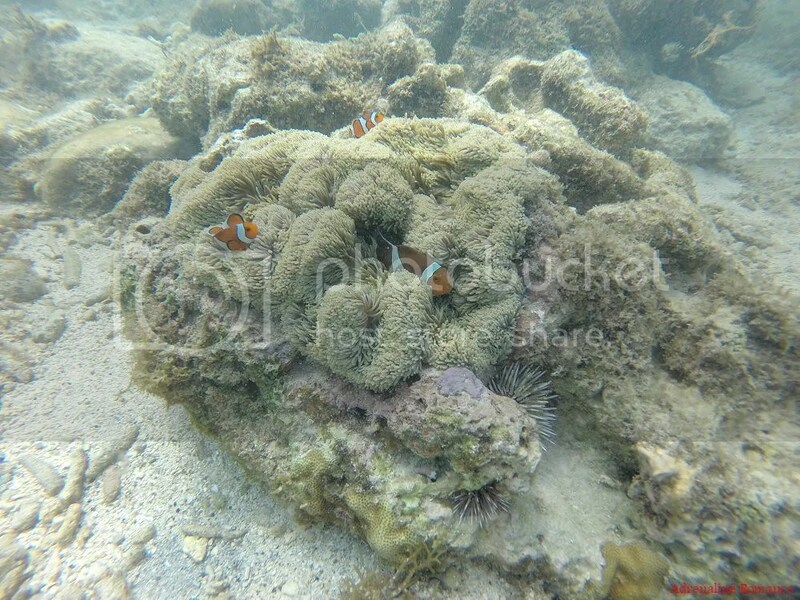 Until our visit in Apo Island, we didn’t know that clownfish were aggressive. We misinterpreted them swimming to us as a curious and friendly greeting when in fact, they were actually warning us to stay away from the sea anemones which they call home. We saw an instance when a young sea turtle foraged too close to this anemone. The clownfish fearlessly attacked the much larger turtle, startling the latter. The turtle had to quickly swim away and find a new spot to forage. As the afternoon wore on, an increasing number of people flocked to the snorkeling area. So Sweetie and I decided to explore other places around the shore. Near our docking area are these amazing, layered rock formations. Sea and wind slowly but consistently, unfailingly carved these lines. We found this small canyon behind the cliff. We wondered where it led. 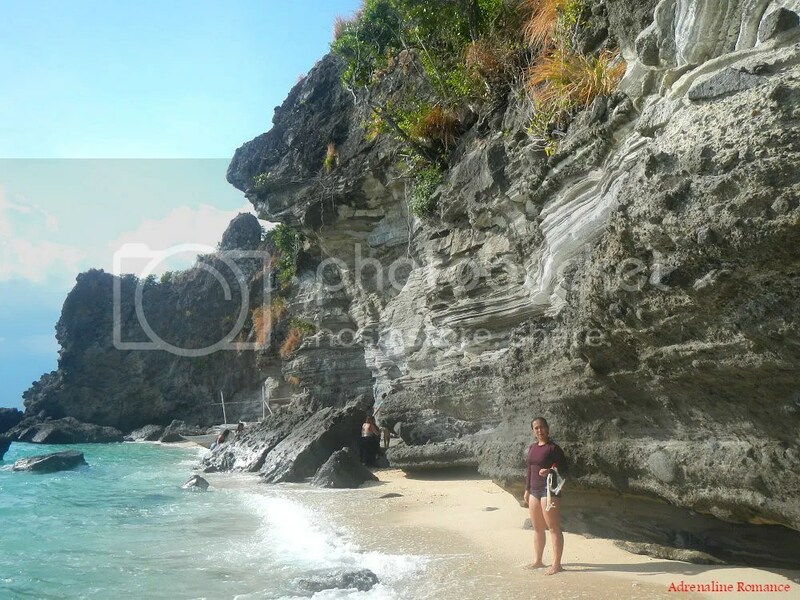 Well, we emerged at a quiet, sandy cove that is separated from the main barangay by a cliff. Most probably, this resort is for those who want a more private and quiet stay. 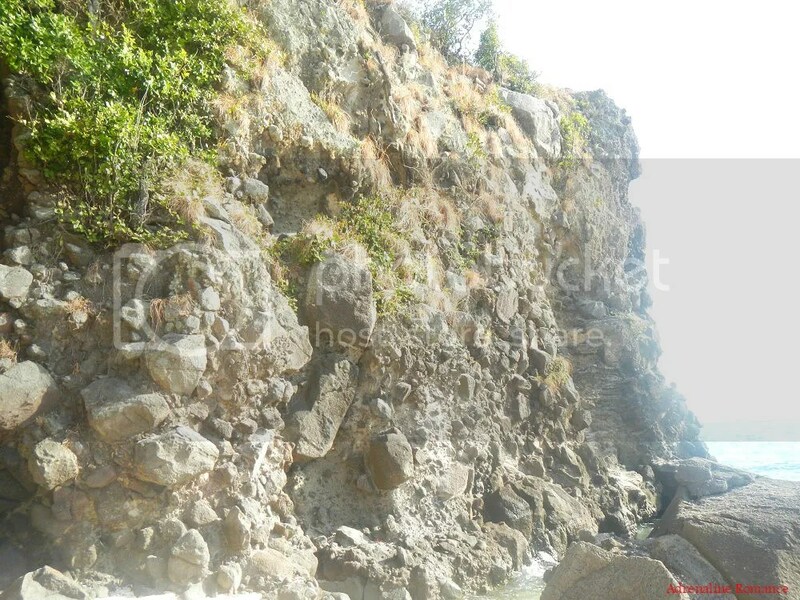 Rather than relatively uniform lines and layers, this cliff, which borders the private resort at its northern end, is made up of embedded boulders. We didn’t go near this cliff as those rocks appear as if they can fall off any time. On our way out of the resort, we found this nice, small cavern under the cliff. If it wasn’t for the waves which were constantly battering the place, this would have been a nice secret place where we could exchange a quick smooch. As the afternoon shadows lengthened, we decided to check out the high ground which would give us an excellent view of the sunset. 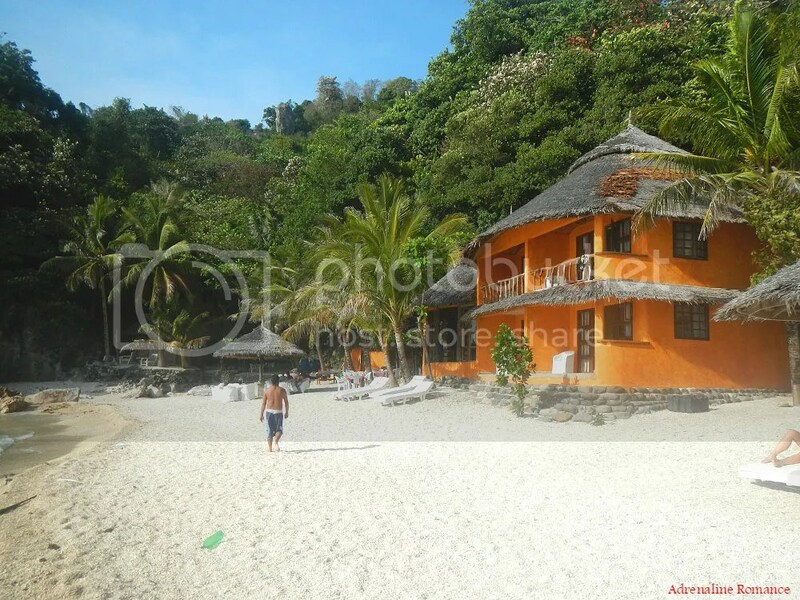 Right beside the main beach is a hiking trail that leads up the hill that forms the spine of Apo Island. Don’t worry, the trail is well-established and is protected in areas by iron-pipe railings. 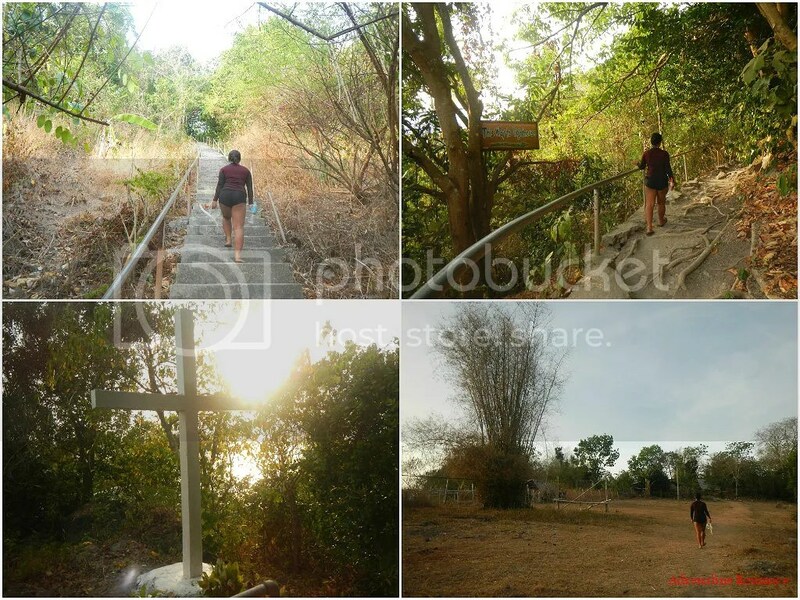 The presence of concrete crosses also reveal that this is a pilgrimage trail; locals probably use this when they celebrate Holy Week. At the ridge is a dusty dirt trail that cuts through a small seemingly abandoned community. We know it’s a community because there we found a small classroom building, a duck coop, and a group of tiny houses. What a view to cap up the day, don’t you think? You can see this vista just moments after you climb the first few steps of the hiking trail. After a 20-minute walk, we arrived at the end of the trail, a modern solar-powered lighthouse. 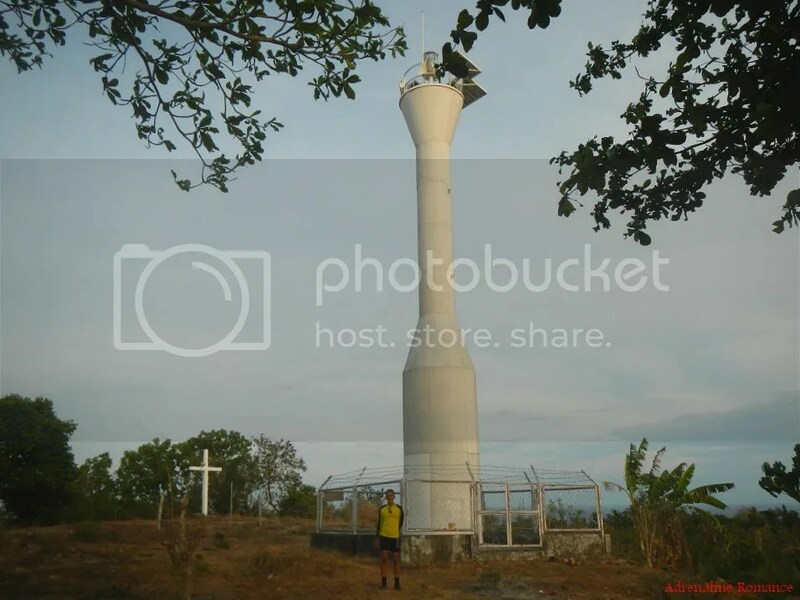 Being in the middle of a busy shipping lane, Apo Island is an ideal place to put up such a structure. Beside the tall contemporary lighthouse is the original, old one that has fallen into a state of disrepair. Here we can take a glimpse of the old system. There’s a generator room that doubles as a watchman’s bunker beside the lighthouse. Extra fuel is stored in that rusty tank. The watchman in charge uses the small outhouse to answer nature’s call. None of these structures are in use anymore. Something funny, Sweetie? 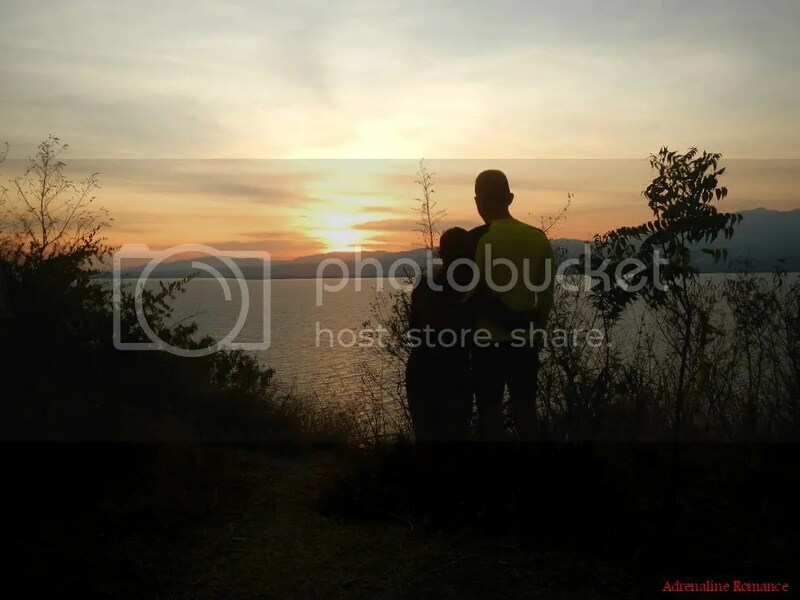 You know, this is the best thing of having a love partner who shares the same interest and passion with you. You share mutual feelings, read each other’s minds, and meet problems head-on together. Happy anniversary, Sweetie! I love you! P 300 per person to 3,000 per boat – Standard chartered boats costs P2,000 to 3,000, depending on the boat’s capacity. 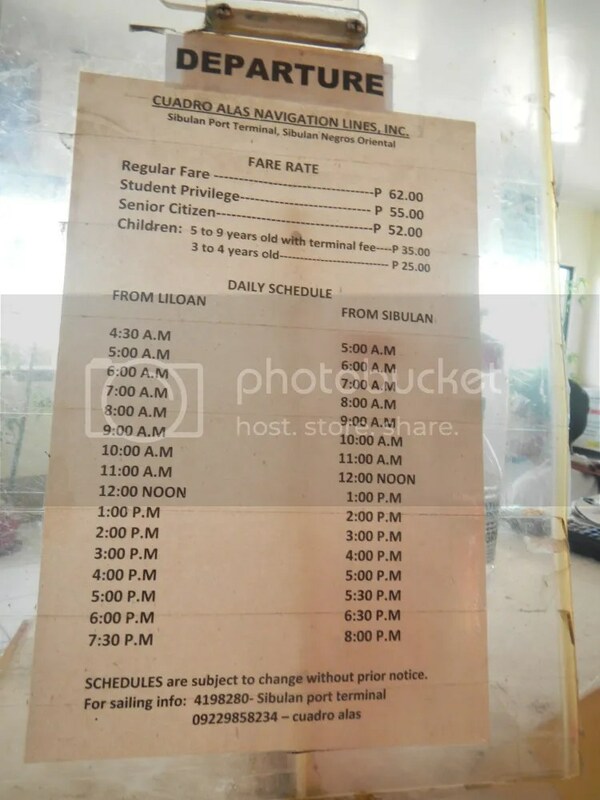 You can opt to wait for a public boat that ferries goods and supplies to Apo Island; this is way cheaper at P300 per person. However, there is no certain time as to when the boat leaves or arrives. In addition, there’s no guarantee whether such a boat will leave daily. 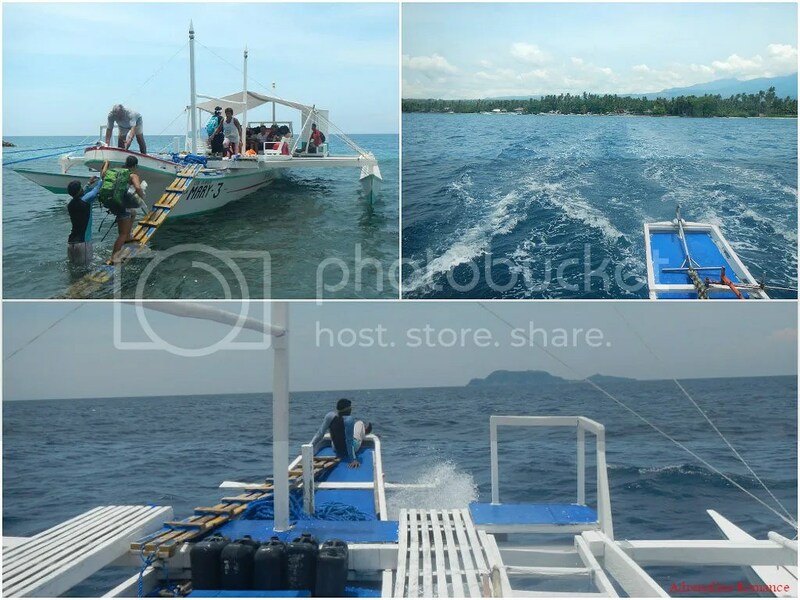 There are direct boat trips from Cebu City to Dumaguete City and vice versa. While we didn’t take them due to our itinerary, you might want to consider that option for a shorter trip. For our return trip to Cebu, we took a fast craft from Sibulan, Negros to Liloan, Santander, Cebu. * We did not include our expenses for snacks, souvenirs, tips, and other fees in this rate sheet as you may have different needs, preferences, itineraries, and sharing scheme from us. Note that all figures are subject to change without prior notice. 1. For a map of Apo Island, please check the photo below. 3. 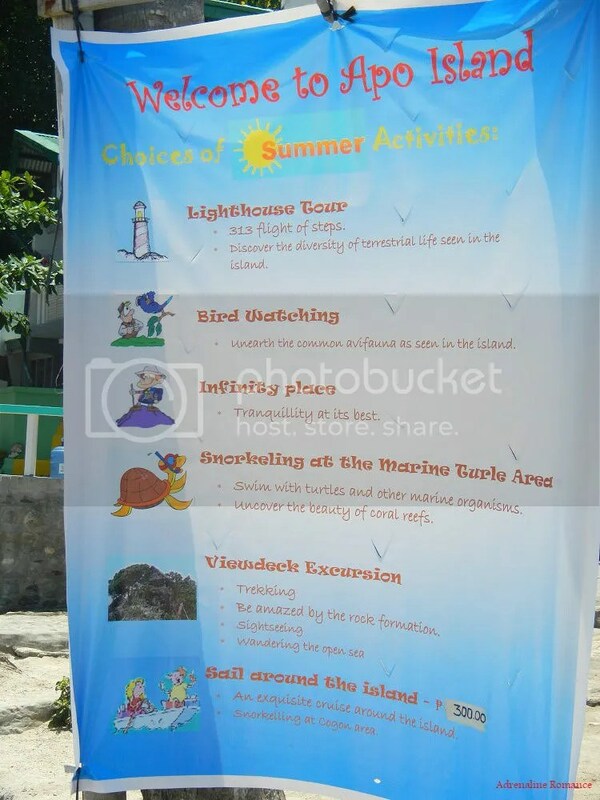 Exploring Apo Island is quite easy as there are cemented walkways and established trails. 4. 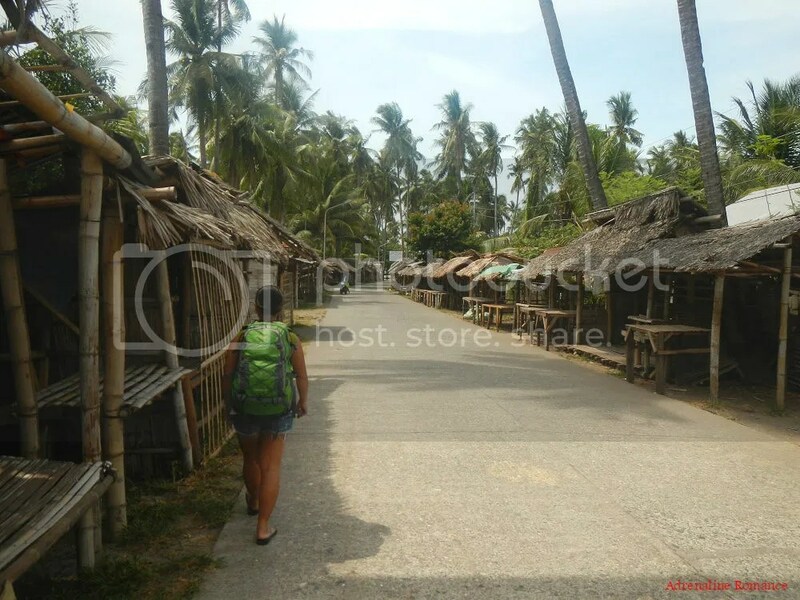 The community in Apo Island has sari-sari stores where you can buy eggs, packet toiletries, snacks, softdrinks, etc. at the same or slightly higher prices than in the mainland. 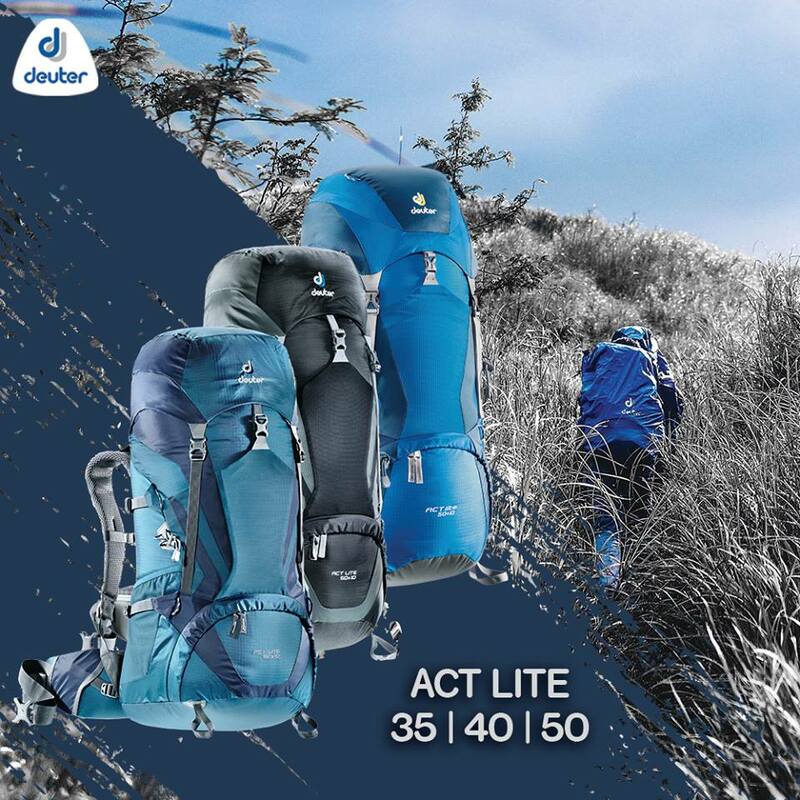 You don’t have to worry about lugging a lot of things. 5. For safety, do not venture too close to places in the shore where there are large rocks. Note too that waves conceal whole sections of the rocks, so take extra care. 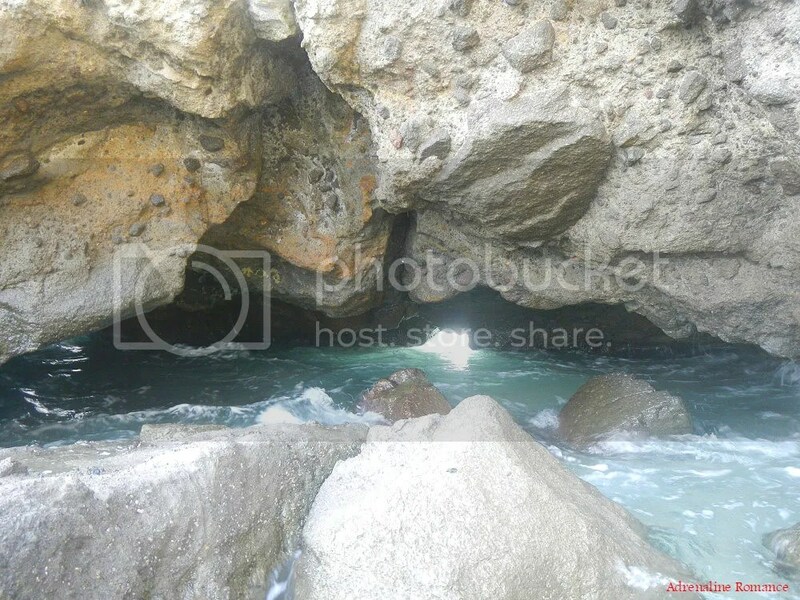 Avoid snorkeling near sea cliffs when the weather is bad or when the sea is rough. 6. Always follow your guide’s instructions. They are on the lookout not just for your safety but also for the preservation of the marine sanctuaries that surround the island. 7. You can swim close to the turtles. However, do not touch, poke, chase, or feed them. 8. The snorkeling area/turtle feeding area is quite shallow. Be careful where you kick or when you put your feet on the ground. Many turtles graze the grass beds below the water, and you might inadvertently kick or step on them. 9. Take extra care not to touch, step on, or break corals. The slightest touch can compromise their protective mucus layer, which can damage them. Don’t even think of taking one as a souvenir! 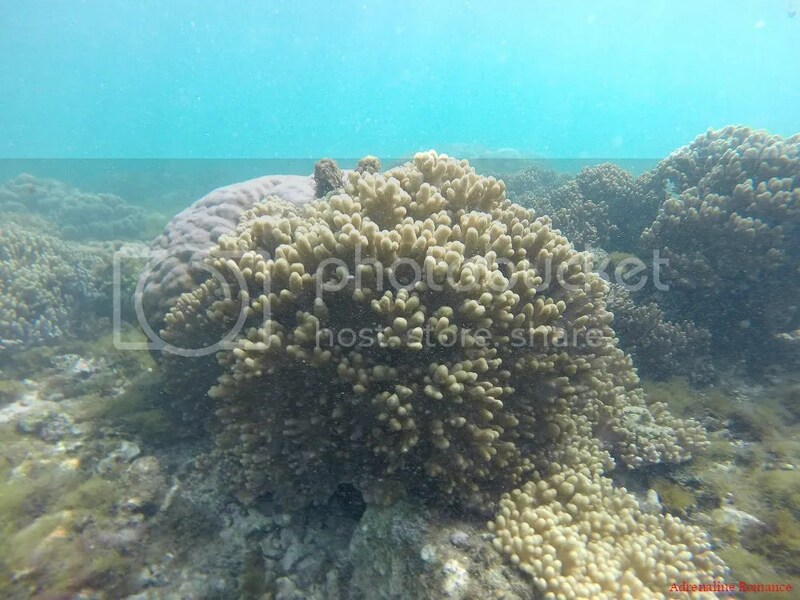 Corals are very delicate and form an important part of the sea’s ecosystem. Always wear a life vest and stay on the water’s surface. If you know how to swim, hover above the corals. 10. Please save water. There’s no well or natural fresh water spring in the island; most people catch rainwater for their supply. 11. Electricity for the general populace in the island is scheduled. It turns on at 6 PM and turns off at 9 PM. Some resorts do have their own generators. 13. 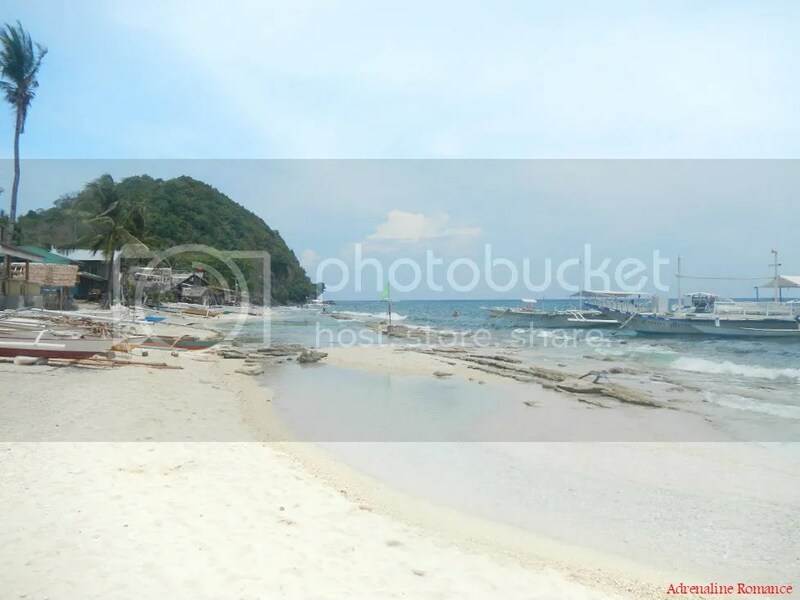 Apo Island is a legally protected marine sanctuary. Do not throw your trash around. Remember your LNT principles, and do not disturb wildlife. Thank you! Stand by for the next blog post; it will feature the spectacular underwater world of Apo Island. The last time I went diving was in Apo Island. My BF and I booked in Dumaguete, and for 3 dives, including everything–transport, food, gear, tanks, private DM for me–we paid only P3,000. It was a really good deal. I wish we had stayed on Apo Island too, but for the price, I was very satisfied na. I miss diving. In fact, I miss swimming, period! Yup, that is indeed a good deal. We booked an overnight stay in Apo Island during this trip because we wanted to spend our anniversary there. Hehehe! Actually, we will visit Apo Island sometime next year to explore the other dive sites there. For that, we are getting that 3K deal you mentioned. 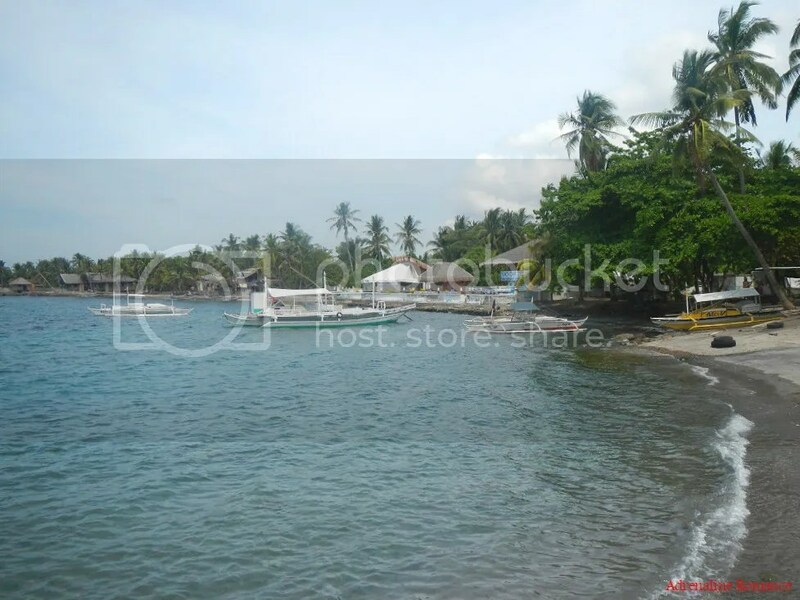 We won’t need to stay in Apo Island anymore, and after the dive, we plan to go around Dumaguete as a side trip. Hello Ms.Aleah what diving center in dumaguete offers that kind of deal?Do you still have their contact number?tnx in advance. Thank you! 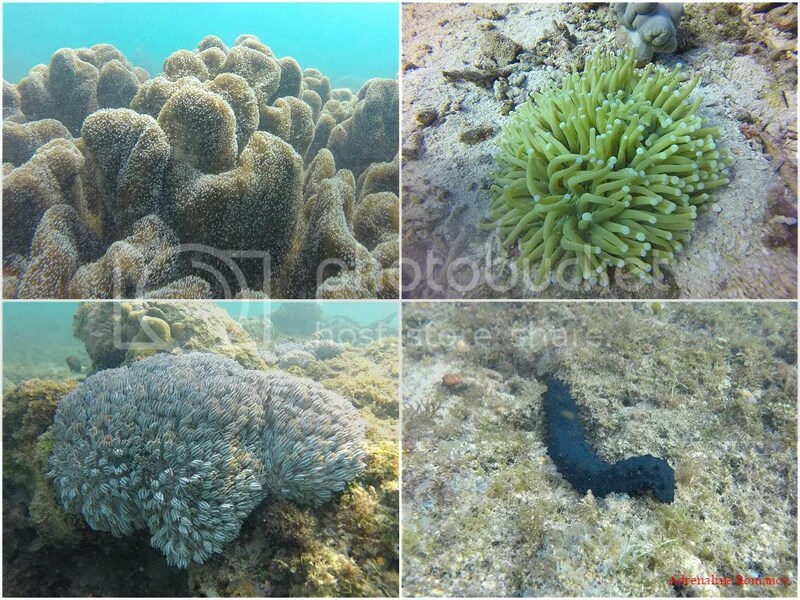 The real jewel of Apo Island is actually the coral reefs that surround it. Scuba diving there is a must! Reading your blog made me more excited to visit the place this July. July please hurry! haha! That’s a nice and huge balete tree. 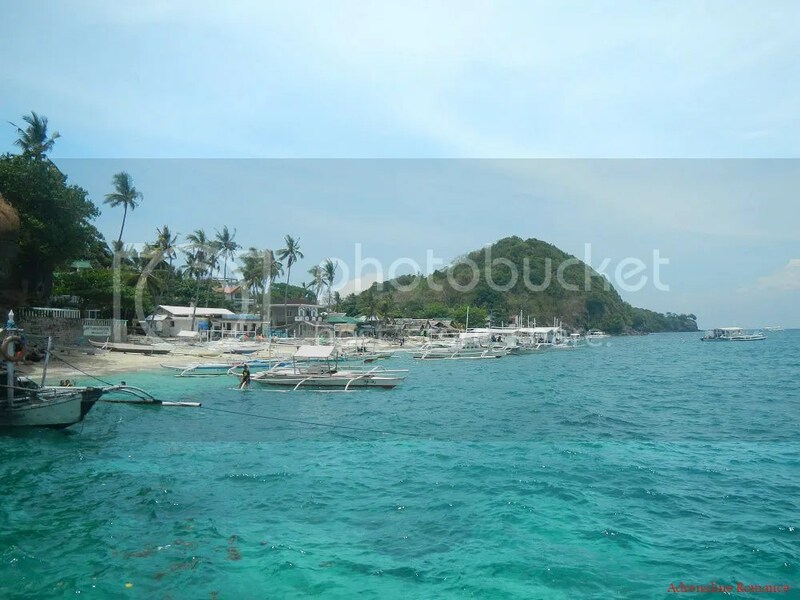 Apo Island is really a must-visit for all people who love snorkeling or diving. 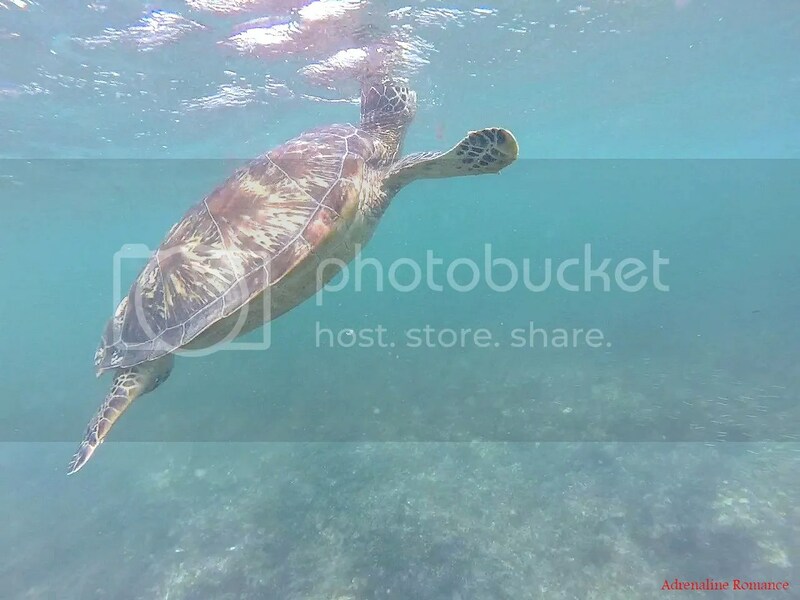 Lovely sea turtles and breath taking coral gardens! 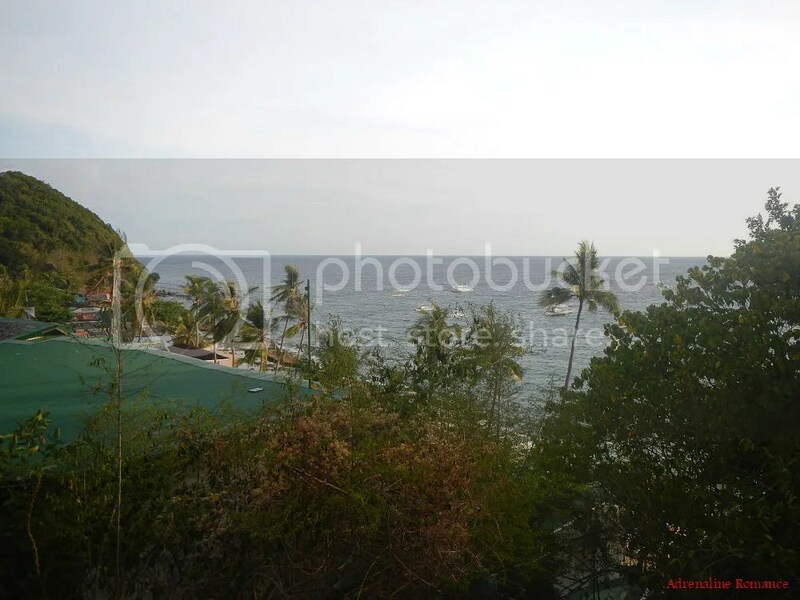 That Balete tree is not in Apo Island. It’s in Canlaon City; it was the venue of a friend’s wedding reception before we went to Apo Island. 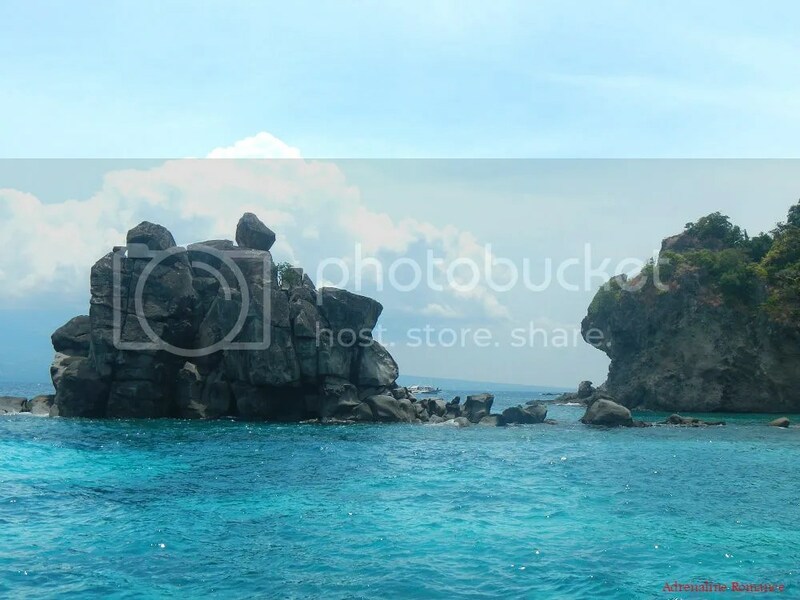 Yes, Apo Island is beautiful, especially the dive sites. We plan to go back there, hopefully, this October or November.